How have you been getting on with your Inktober sketching? 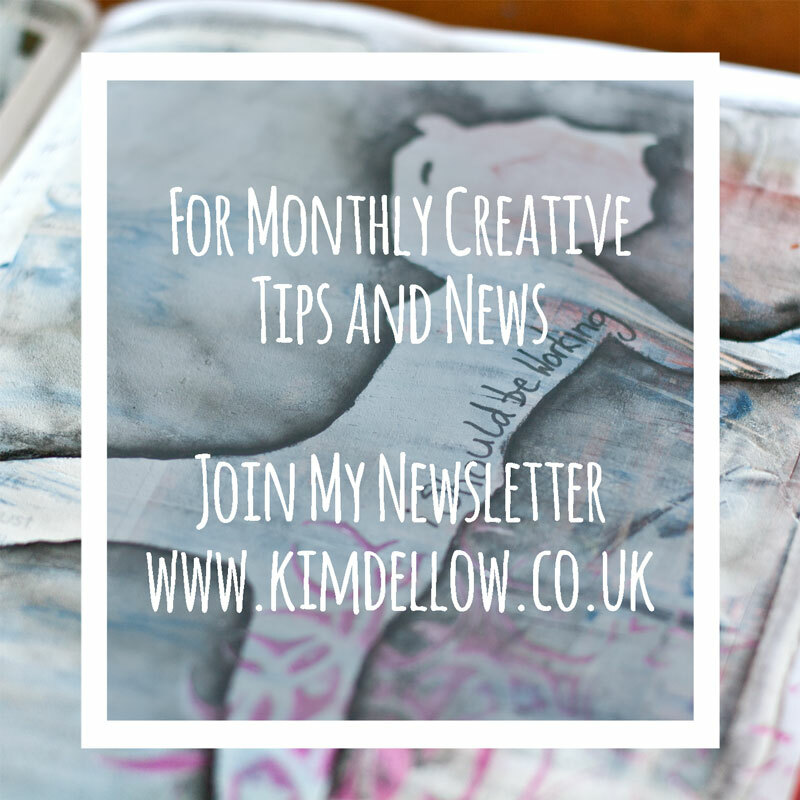 If you follow me on Instagram or you are part of my Creative Tips newsletter group then you will know that I’ve been doing a sketch per day and sharing as part of Inktober. I’ve really been doing my own thing and not following the official prompts but using it to generate sketch ideas, play with different styles and practice of course! I have plans to work up some of my favourite sketches into other projects and I was hoping to encourage you to do the same thing. So today’s video share is a process video for a watercolor and ink flower drawing that comes from my Day 18 sketch. I’m also testing out the Daniel Smith watercolor paints and if you scroll down below you can see a close up of the granulation you get with some of these watercolor paints, You can spot it in the picture above as well. Anyway, enjoy the video and you will see what I mean about granulation once you have watched it! Oh and I share how to add the punchinella texture too! That grainy texture in the photos is the granulation I’m going on about, you can see it really well in the Amethyst color along the bottom. Isn’t it gorgeous? Let me know how you are doing with your daily sketches and I would love to know what you will be doing with them next. Do you have any projects planned for them? 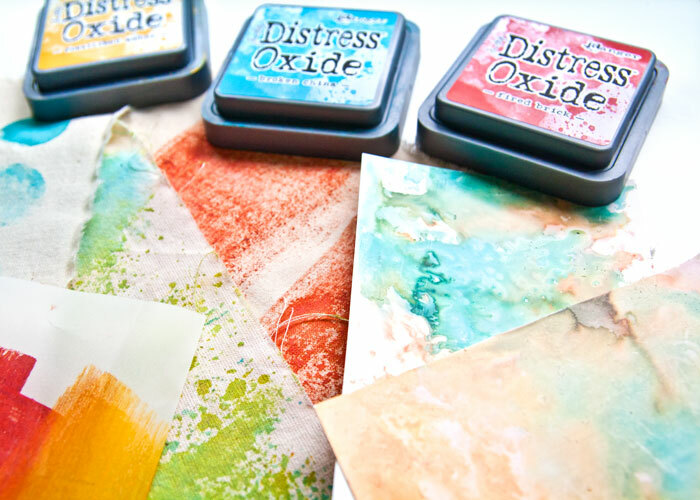 Have you tried your Distress Oxides inks on different surfaces yet? 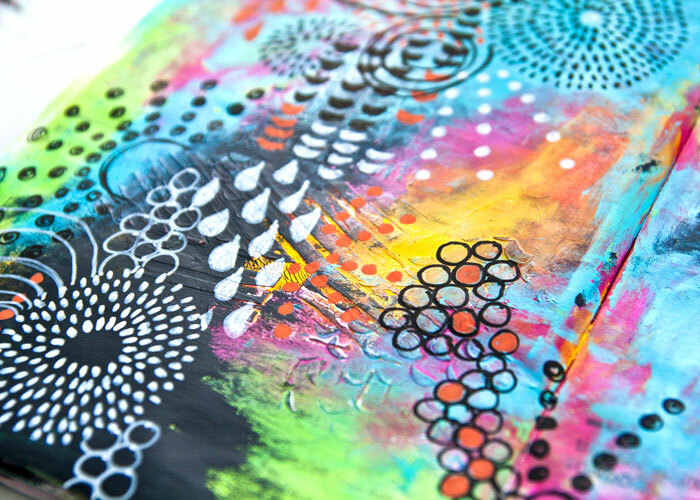 What surfaces have you tried? 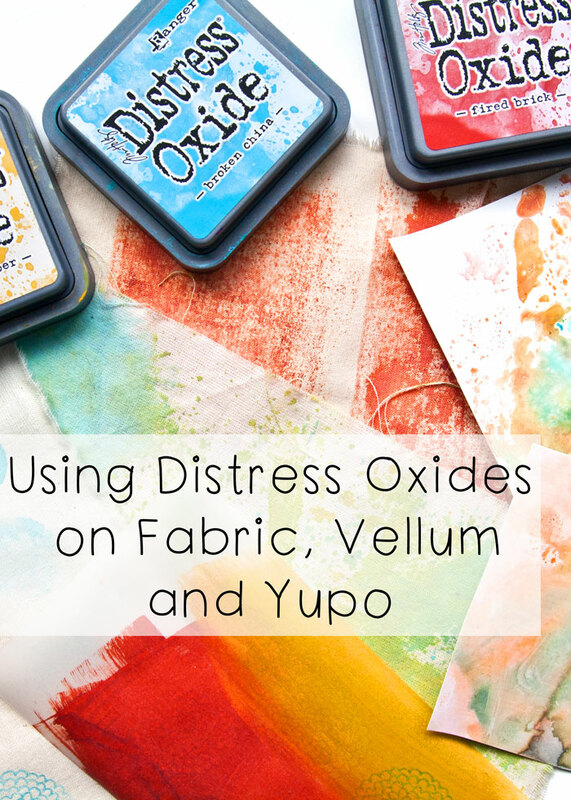 Well, if you haven’t had the chance to try out different surfaces yet, I have tried it on fabric, vellum and Yupo and I’m sharing all the results to help you decide what you are going to use them on next! 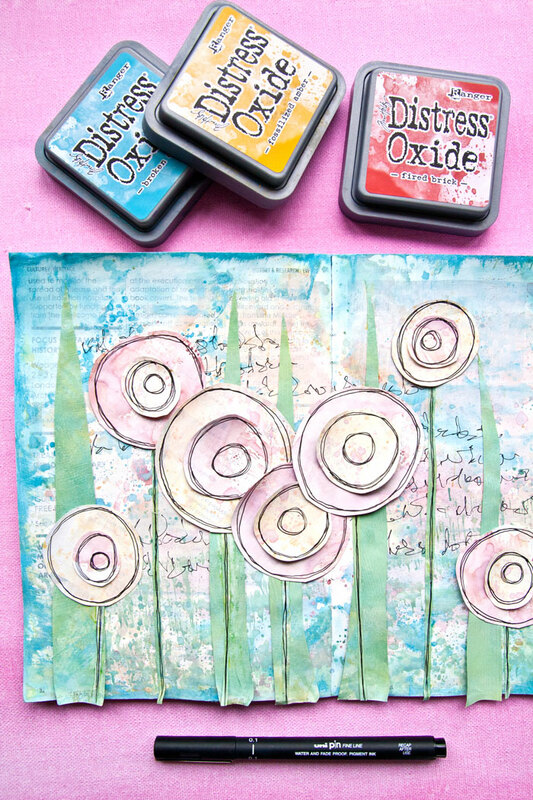 I’ve got plenty of tips and tricks on how to use Distress Oxides on these different surfaces to help inspire your next card making, art journal or mixed media project. 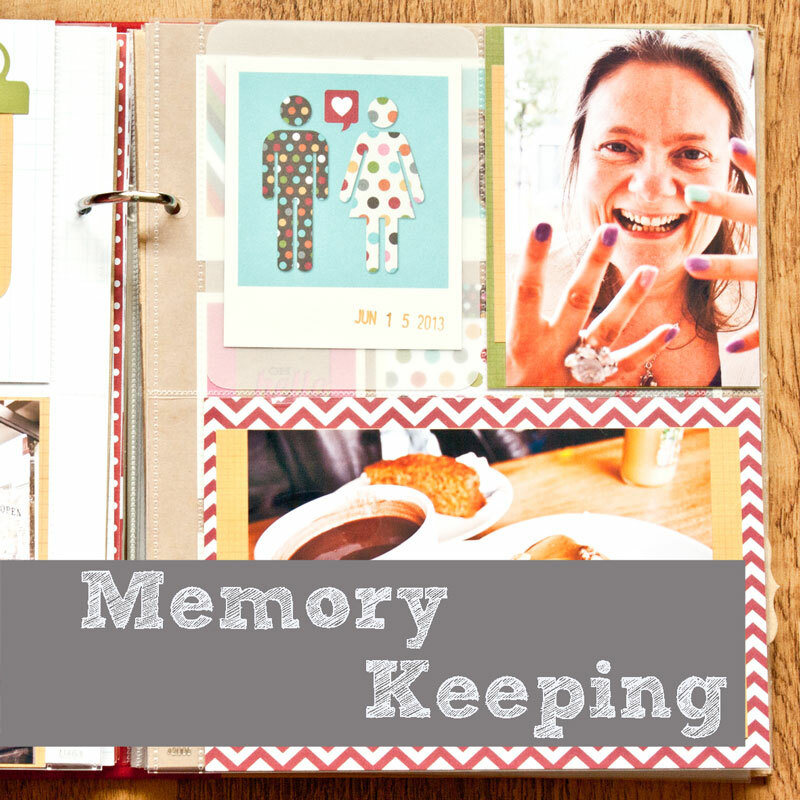 Plus some ideas for how you might want to use them in your next project. So enjoy the video, the full supply list is below plus a link to my Distress Oxides Step By Step Art Journal video is at the end of this post too. So what have you tried Distress Oxides on? And what will you try next? Let me know in the comments or over on the Distress Oxide video on YouTube. Have fun experimenting! Oh and do remember that the techniques I have used today are for mixed media projects and not for decorating clothing that will be used and washed. You can’t fix Distress Oxides in fabric and it will just wash out of the fabric. 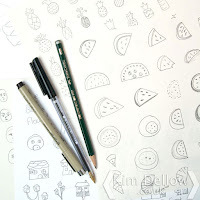 I like using Faber-Castell Gelatos because they are so easy to use and quite versatile too, but they aren’t the best at layering, well, they are if you want blended layers. But if you want distinct layers then I would not usually reach for Gelatos. 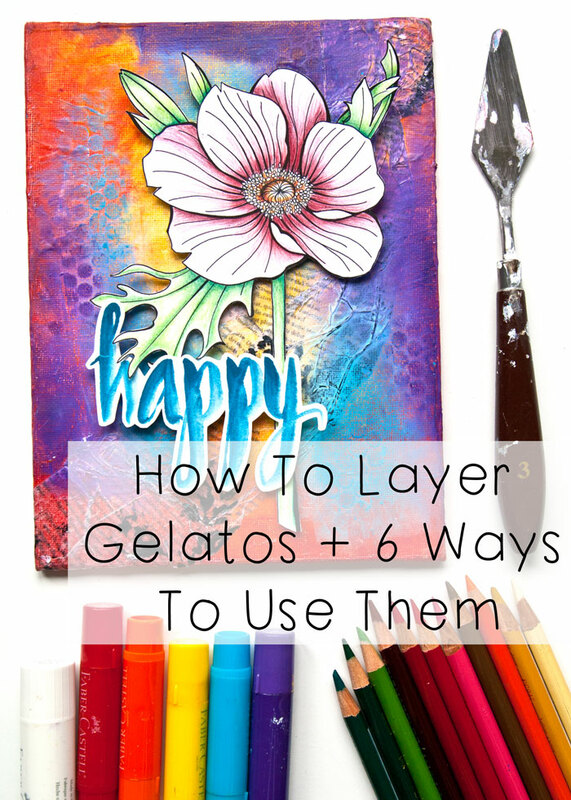 If you find the same than I have a technique for you in this week’s video that will overcome this issue and let you add as many Gelato layers without you want and without blending the layers all together. So watch the video if you want to see how I do it and also to see the six different techniques I use to apply my Gelatos in just this one little mixed media canvas. You might also recognise the flower? As promised it is the digital download image that I colored with pencils in last week’s video and if you want to see that video you can find it over on my YouTube channel with lots of tips on How to Color With Prismacolor Pencils. 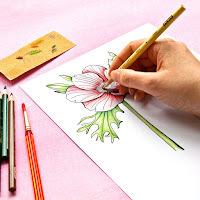 And the image is over in my Etsy shop ready for you to download and color along with three other flowers, this image is the Anemone flower digital stamp. 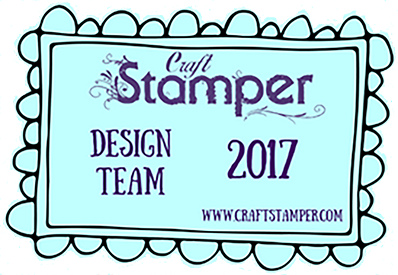 I used one from Docrafts but it doesn’t seem to be available any more so try this instead. So have fun with all the techniques I have shared with you today and I would love to see what you make of them so do link me in on social media and all my links are below. 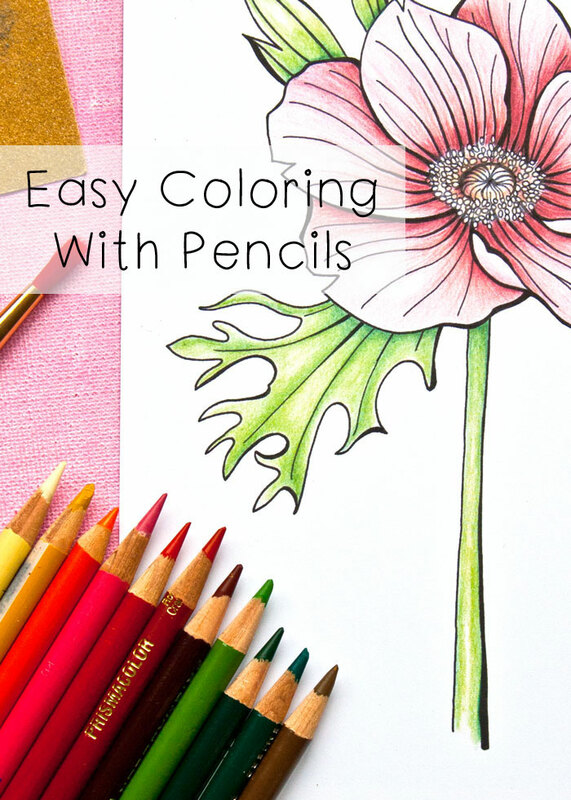 VIDEO: Prismacolor Pencil Coloring tutorial And Etsy News! 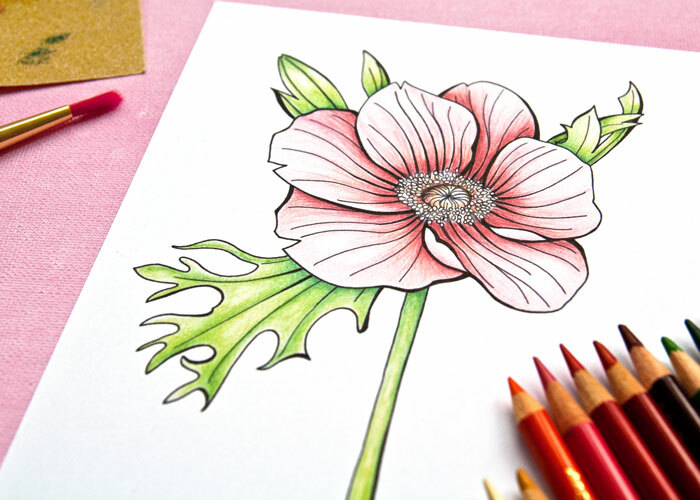 I’m using Prismacolor pencils in my video today and sharing some tips and tricks on how to color with pencils along the way. But you don’t have to just watch the video you can also coloring along with me as I have the very same image that I am coloring up in my Etsy shop ready to buy, download and print then colour with your pencils or your pens or whatever your favourite coloring medium is! 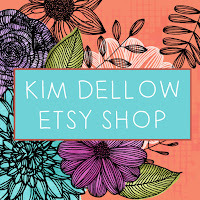 Yep, I have re-openned my Etsy shop! I thought it was about time that I did! So look out for new products over the next few weeks and I’m looking forward to sharing them with you! I’ve started with this Anemone flower image that I have been working on recently. You might have spotted it on my Instagram feed and also in my behind the scenes video on YouTube. So it seemed like a good idea to do some coloring and make a video whilst I was at it! I’ve used two different techniques to colour the image, one to give a smooth finish and another to just add a little bit of texture, so I hope you enjoy it. WATCH ON YOUTUBE! You will also find the pencil color list in the video description on YouTube too. The exact one that I use is no longer available but here is the newest model. However, I haven’t tried this one myself so I can’t say for definite if it works with Prismacolor or not. This project is actually part of a bigger mixed media project that I am going to share with you next week so don’t forget to subscribe to my YouTube channel and click the notification bell so that you don’t miss what happens to this flower! If you do color this image I would really love to see your project so don’t forget to link me in on social media and all of my links are below. 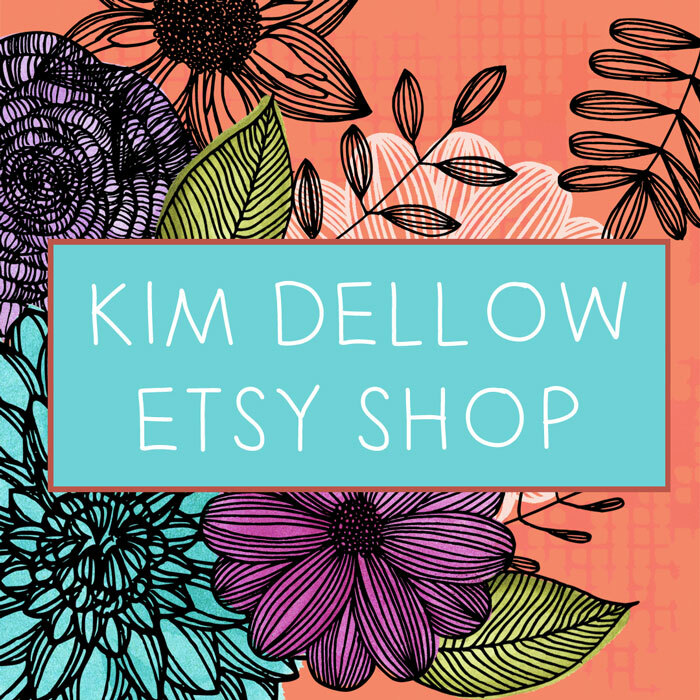 Get your doodle pens and brushes ready because this week I am on a quest to get you doodling in your next art journal or painting project. Hey, why stop there? 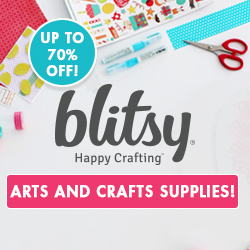 You could go doodle-tastic on your next card or papercraft project too! I don’t want to leave anyone out! 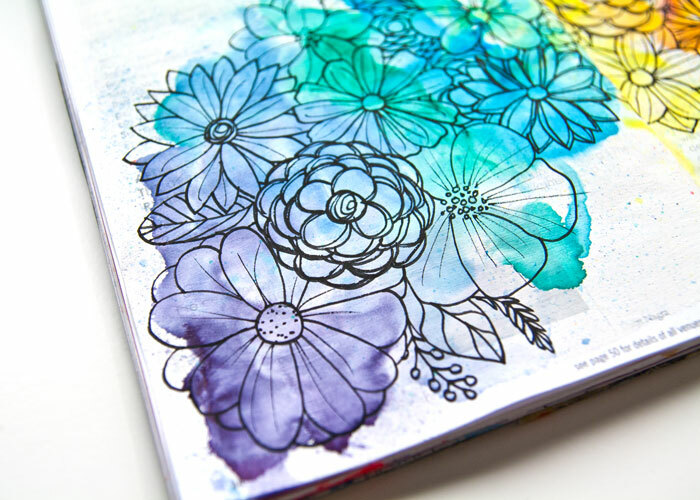 So it is a no-fear, easy art journal page video this week with lots of colour and tips on designing, using colour and transparent and opaque acrylic paint thrown in too. 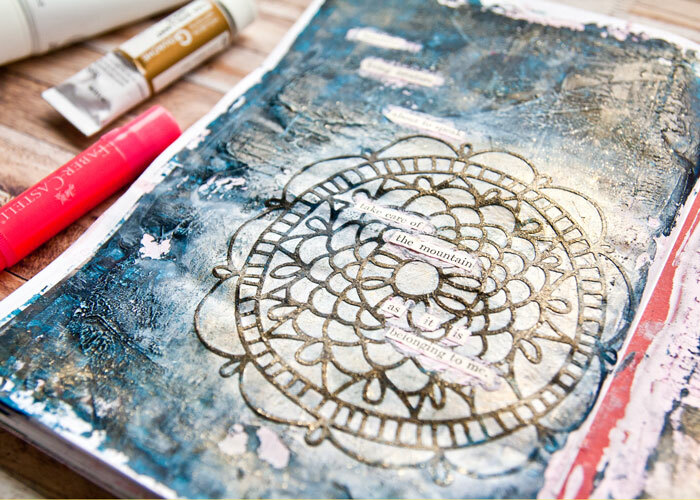 I’ve also added some texture with stencils so grab your favorite stencil whilst you are at it! Right, got everything you need? You will find the supplies list under the video. Let’s get to it and don’t forget to share the results, all my social media links are at the bottom of the post. You will also find a close-up picture of the texture under the video too! Can you see the stencil texture? That is just using heavy body acrylic paint. It is a lovely texture. 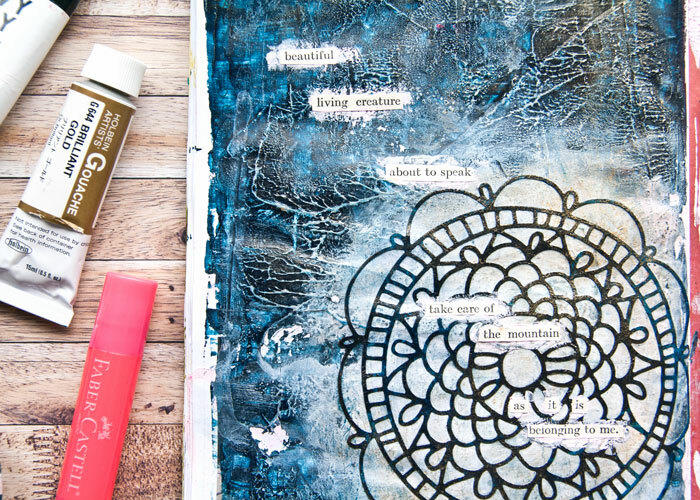 You can also see some of the texture left over from a previous project where I cleaned paint off of some punchinella onto these pages. So what theme or themes did you think of? I would love to know, so leave me a comment either here or over on YouTube. Can’t wait to see all your doodles this week! After last week’s Autumnal journal page I thought I would jump straight back into Summer with a rainbow watercolor background and some flower art. I think I can not quite let go of the idea of Summer sun! I know, we have to move on with the season but it doesn’t hurt to have a quick look back from time to time does it? 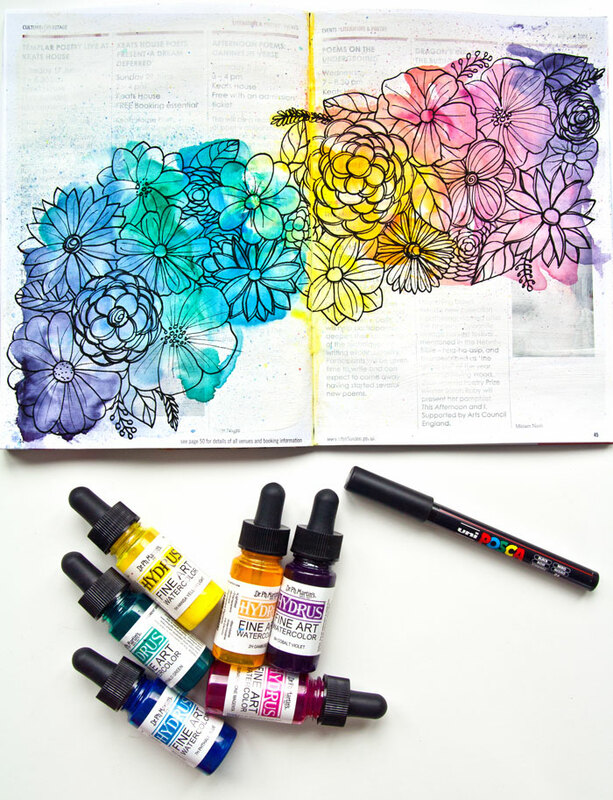 Well this look back comes with a really easy technique for adding your own watercolor rainbows to your next painting or art journal project. 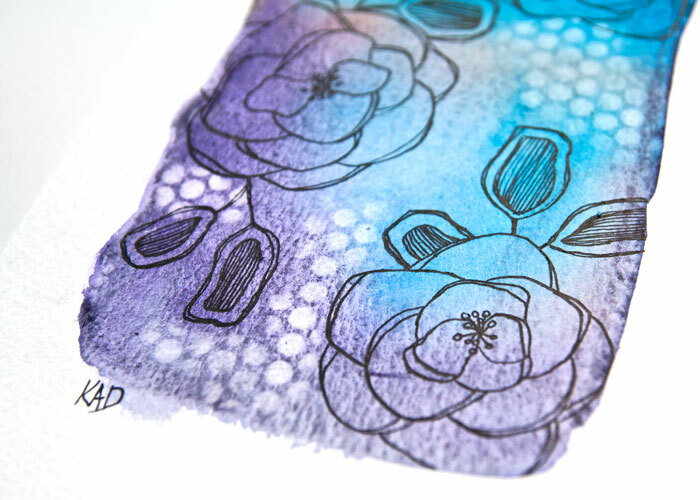 I am also trying out absorbent grounds this week and seeing how they work with the Hydrus watercolors. 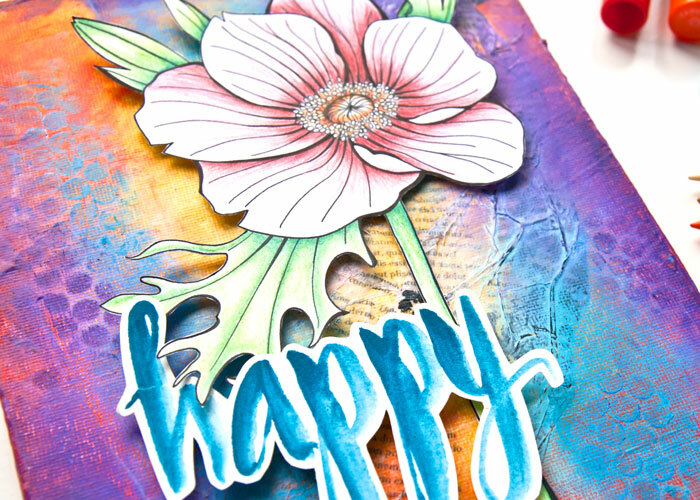 But don’t worry if you don’t have either because I share some tips on what else you can use to make this watercolor rainbow background. 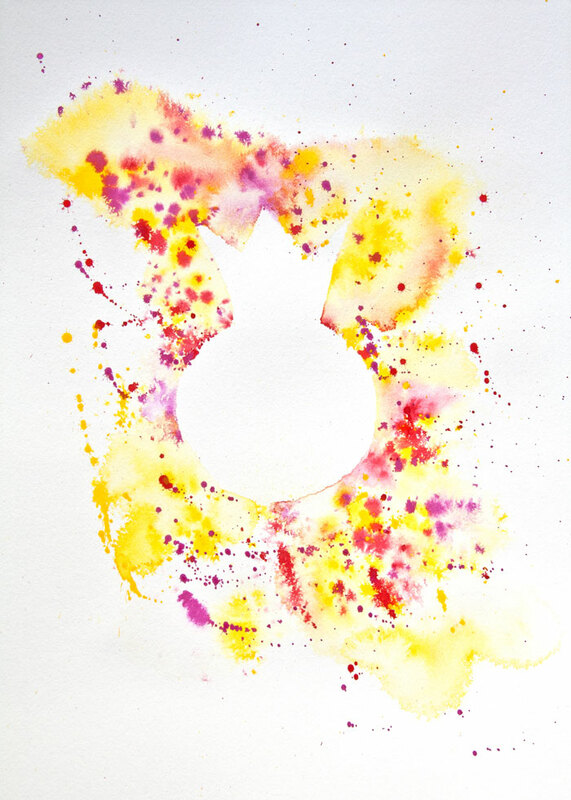 For tips on using acrylic paints like watercolor watch my 5 Ways With Stencils video. 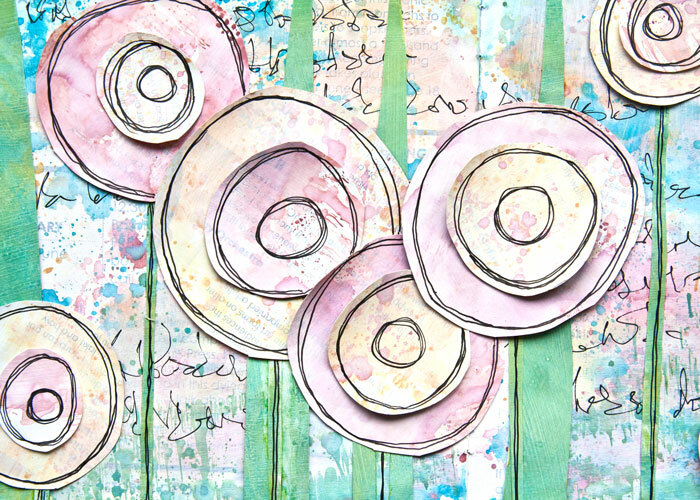 For more watercolor inspiration watch my Ideas For Using Watercolor playlist. 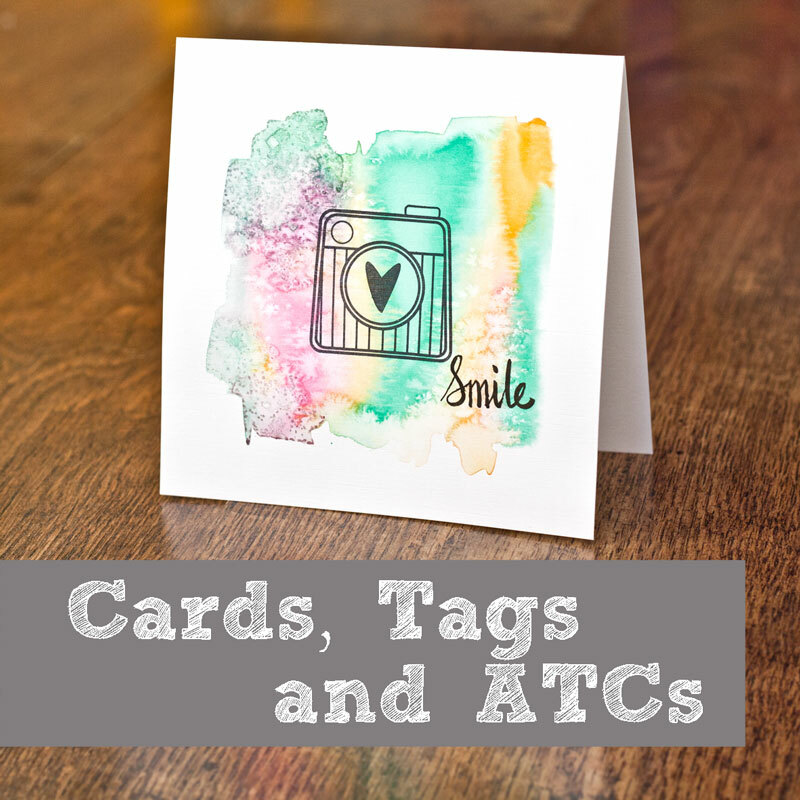 I can not wait to see your watercolor rainbow background projects so don’t forget to share what you make with me by tagging me in on social media, all my links are below. I’ve been playing with acrylic glazing liquid this week and for my video tutorial I’ve used glazing in a way you might not be used to seeing it being used. Usually glazing is used in the latter stages of a painting project to shift the colour of a piece or unify and harmonise it. In my art journal page I’ve used it early on in the process to bring my tinted gel and paint stencil element together with the some old book page texture. I’ve also used it as a base to add more colour to. You can see all about it in the video and see how this page started too. It kind of looks Autumnal doesn’t it? But it was never my intention to make an Autumnal art journal page but the start of the new season here in the UK must have had a bigger influence on me than I had thought! Do you find the seasons influencing your art when you least expect it? What seasonal projects have you been doing this week? If you are wondering, the stencil is actually one I made myself and those of you that have popped into my blog or YouTube channel before would have seen it a few times. 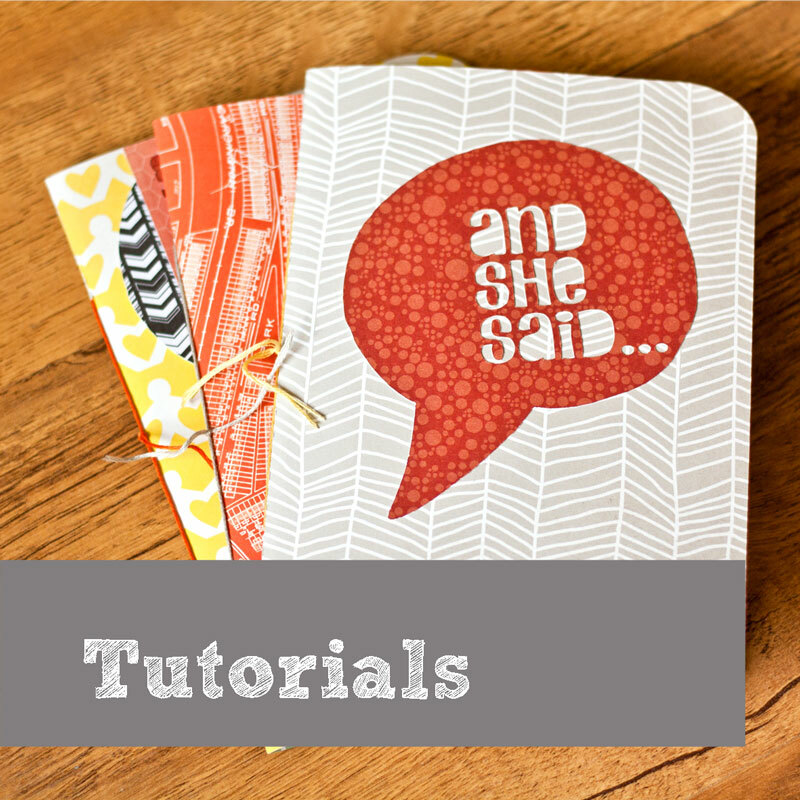 But if you haven’t then you can find out how I made it in my Moroccan tile blog post. 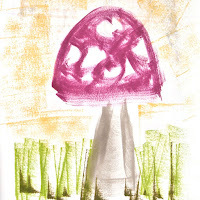 So have a go at these ideas for using acrylic glazing and using tinted paints and gels and let me know how you get on. Link to me in social media so that I can see the results! All my links are below. One of my big goals this year is drawing more, you might remember the Daily Drawing Exercise I was doing regularly at the beginning of the year and posting on instagram? Did you play along with it? Perhaps we should do it again for a month? What do you think? Let me know! Drawing is still a big part of my life so I thought that this week it would be fun to combine two of my favourite things at the moment – video making and drawing! 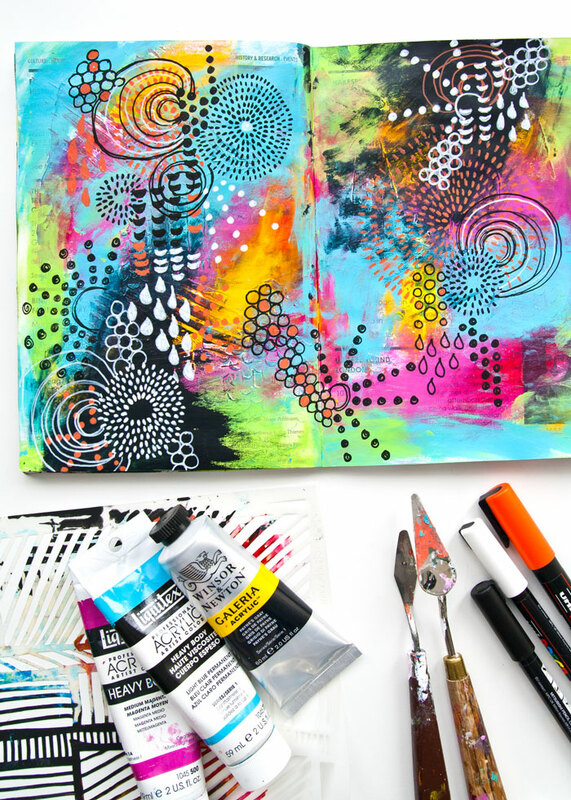 This week a I have a video showing the process behind this art journal page with some timelapse video of the drawing from start to finish and I am also sharing some tips and tricks to get you adding your own drawings to your work. So don’t be shy! 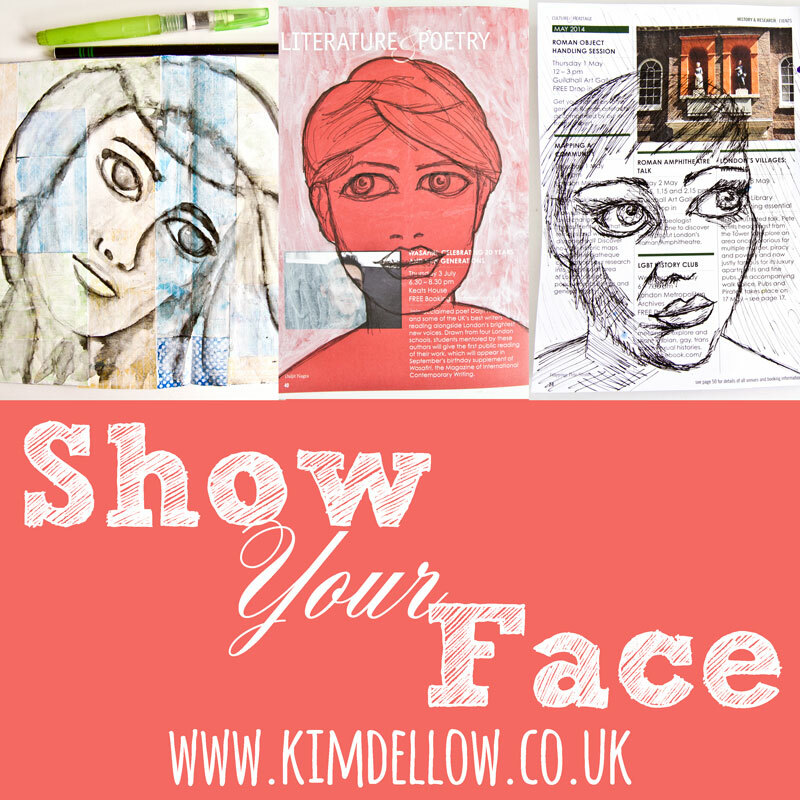 Give it a go and share the results by tagging me in on social media, I can’t wait to see and you never know I might do a shout out to you on one of my videos! 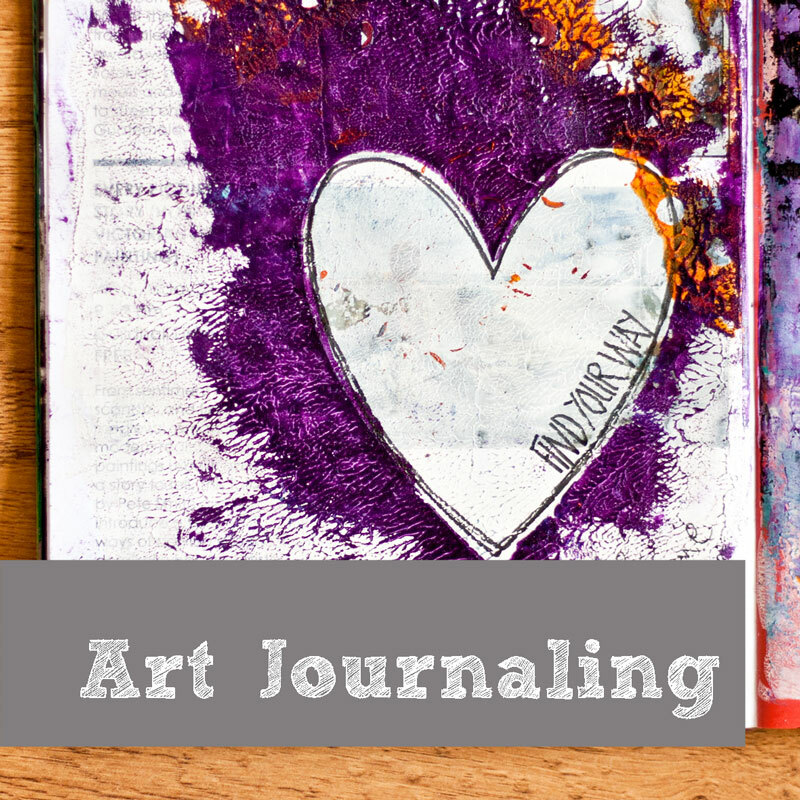 I have more videos with inspiration for using ink and pen in your work and if you wanted a starter idea for how to tint gesso then check out my ‘Easy Texture Art Journal’ video. Leave me a comment below, or on my YouTube channel, letting me know if you would like more videos with drawing tips and tricks from me and also let me know what you will be drawing on your next project! Can’t wait to see your next drawing! Yay! New video time! 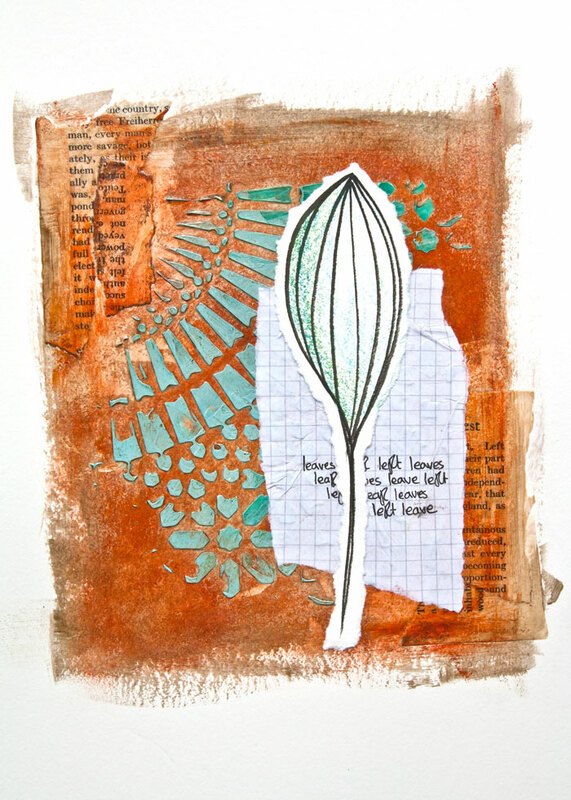 And this week I thought I would break out some Distress Oxide inks. What do you think about these inks? Have you tried them? Are you a fan or a ‘whatevs.’?! I know, I am a bit late to the whole Distress Oxide party, as they came out, what six months ago? But, hey, better late than never, right? Oh and talking about being late, I’m sorry that today’s post is later than usual, I had some technical hitches uploading my video, Zoinks! 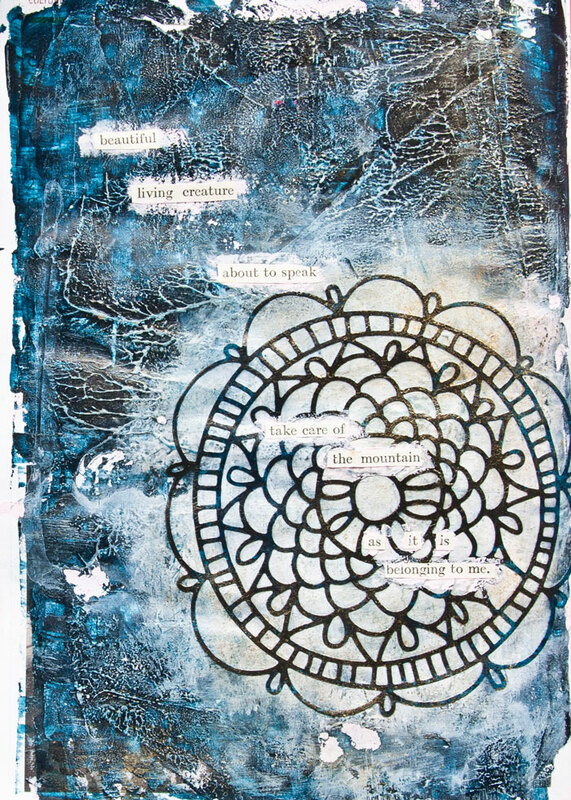 But it is here and in it I am sharing an art journal page with a great technique for building layers full of that yummy dot, spot and splatter texture that Distress Oxides seem just perfect for. 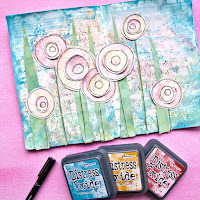 I’ve gone for a pastel color combination with my three Distress Oxide ink pads and I am working in my junk journals again, and if you haven’t seen what I use for Junk Journals yet then I do have a video all about them! So do let me know how you are getting on with these ink pads and if you would like some more videos from me sharing techniques and tricks for using them? Or are there too many videos on them already? 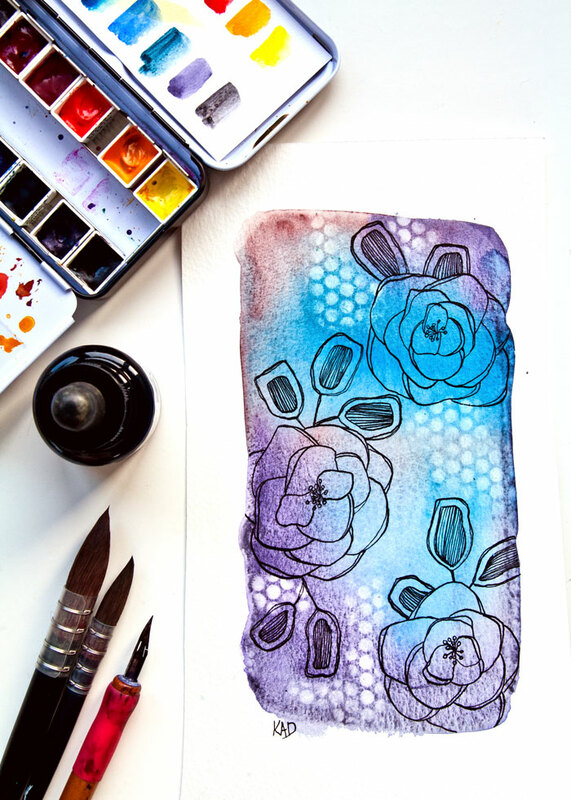 Oh and don’t forget if you want some more ink pad inspiration you can always try my ‘Drawing with Ink Pads’ video! I would love to give you a shout-out at the end of one of my videos, so please do link to me on social media if you are sharing something you made that was inspired by my videos or work. All the links you need to find me are below. Yay! It is video time and I have a new video on my YouTube Channel! 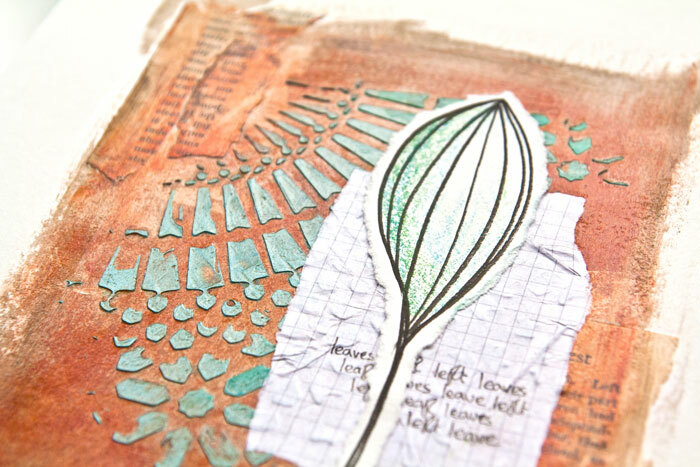 This week it is all about texture, with a super easy technique for adding texture to an art journal page, mixed media or painting project and how to really make the most of that texture as you add to the page layer by layer. I’m also sharing some fun techniques for making the most out of your colouring materials like a simple method for tinting gesso with your crayons like the Faber-Castell Gelatos and a heads-up on a great gold paint that is actually sparkly like the metal itself. This is one of my organic pages today and I had no plan for it when I started out, however, I was inspired on how to finish it by Julie Kirk from ‘Notes On Paper‘ and her lovely book ‘Snipped Tales‘, which makes me smile every time I dip into it and is worth checking out if you enjoy the art of mini-story telling! I thought it was cute and I hope it sparks your own story around words. Let me know what it makes you think of in the comments! Finally, before I go I just wanted to say a massive THANK YOU to everyone who has subscribed to my YouTube Channel or even if you aren’t a subscriber but still watch my videos regularly. I really do appreciate it, it is amazing the response I have been getting and I am so glad you are enjoying them! I am quite surprised that I have doubled my subscription number and increased my watch time considerably since January. 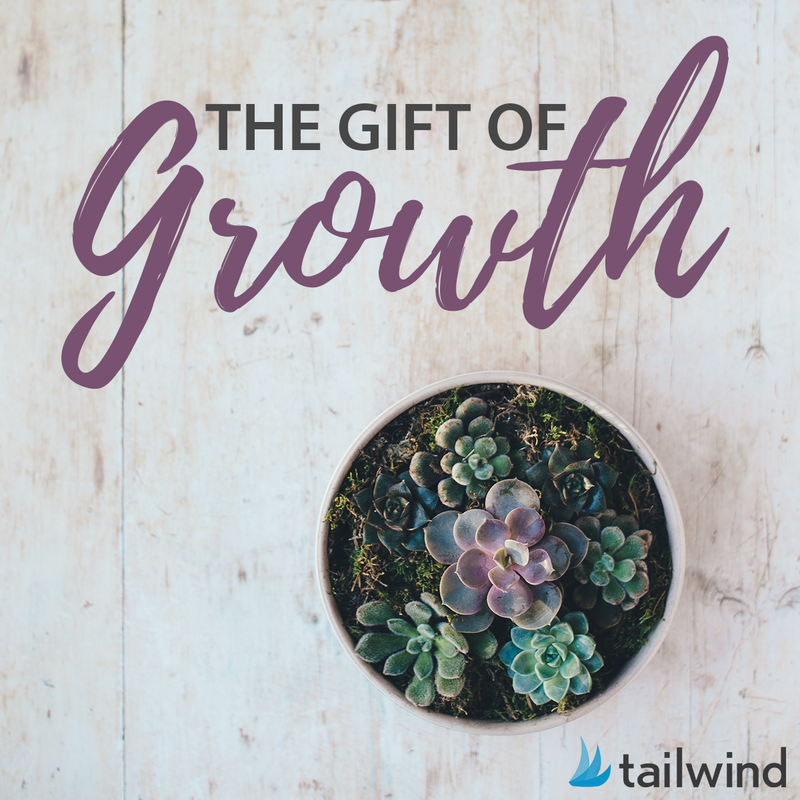 So really, a huge THANK YOU! I am just over 110 people away from my 1000 subscribers milestone so I was wondering if I should do something special to mark it? Do you have any ideas on what you might like for the 1000 subscriber video? Let me know if you do! 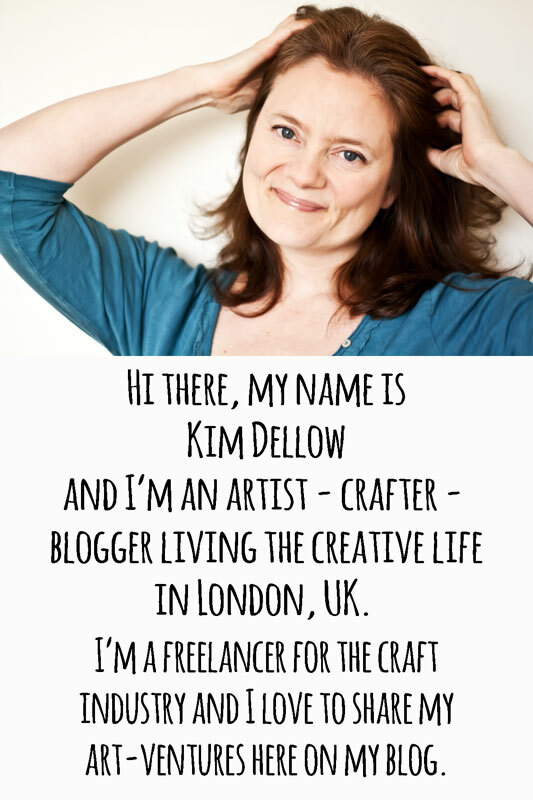 And as always share any work you are inspired to make from my creative shares and videos by linking me up to it in social media as I would love to see it! Hey Pineapple, how are you doing? 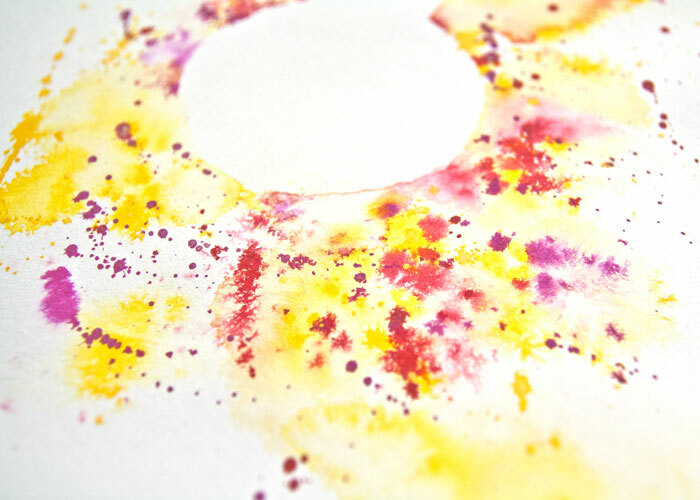 Well we are all splatter here in my studio at the moment with some paint splatter art fun! Want to join in? I have a video all about it today and sharing some tips and tricks for getting the most out of this fun technique. 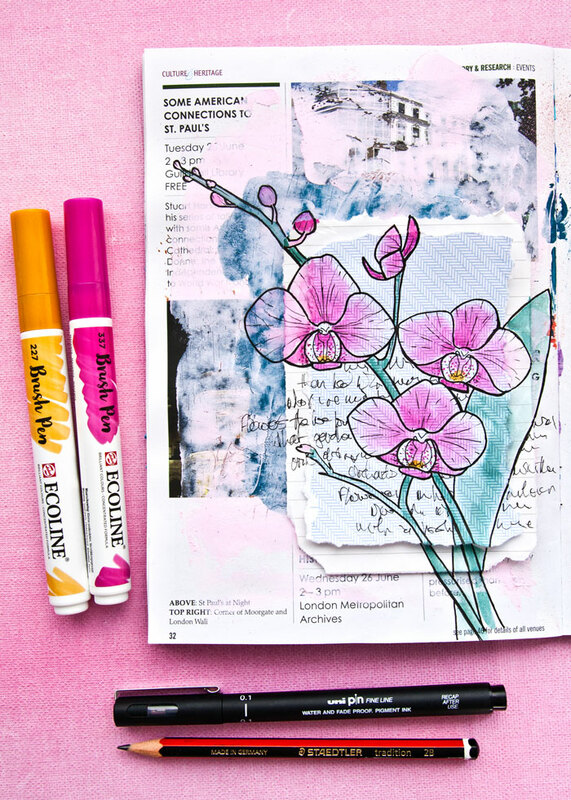 Now I’m thinking that this is a pretty fun technique to use in art journals and on painting projects for texture but it can easily be used for card making too. But wait! How about using the initials of your loved ones names to make some bespoke monogram art?! Now that sounds like a fab idea to me! For my Pineapple art I’ve used paint markers but I run through some other materials you might want to try this technique with in my video. You can make this one as easy or as complex as you want. 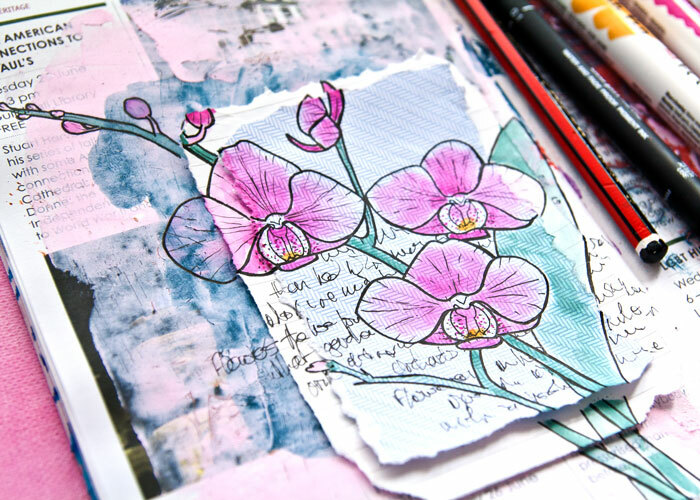 Try layering it up on your mixed media projects, art journals or how about on old book pages? Have a play and see what effects you can come up with and I’m pretty sure that each one you do will be unique! If you are looking for some other ways to add texture to your art than try out my recent watercolor painting texture video share. And whilst you are over on my YouTube Channel don’t forget to subscribe and click for notifications so that you can see my videos as they upload. So what shape are you going to try out? And what do you think you are going to make? Let me know in the comments either here or on YouTube and tag me in to your projects on social media as I would love to see them and you never know I might give your work a shout out in one of my videos! All my social media links are below.